❤️ HANDMADE GIFT! 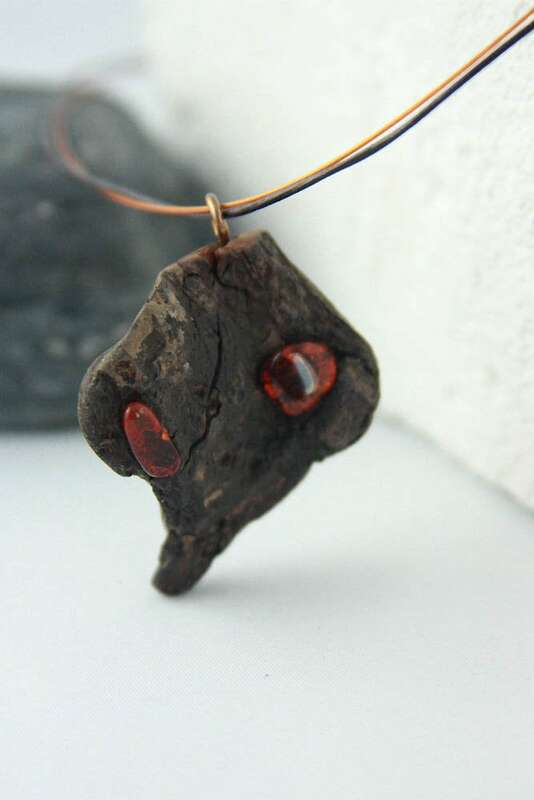 ❤️ “PELLWORM – A modern combination of DRIFTWOOD and AMBER from the Baltic Sea. 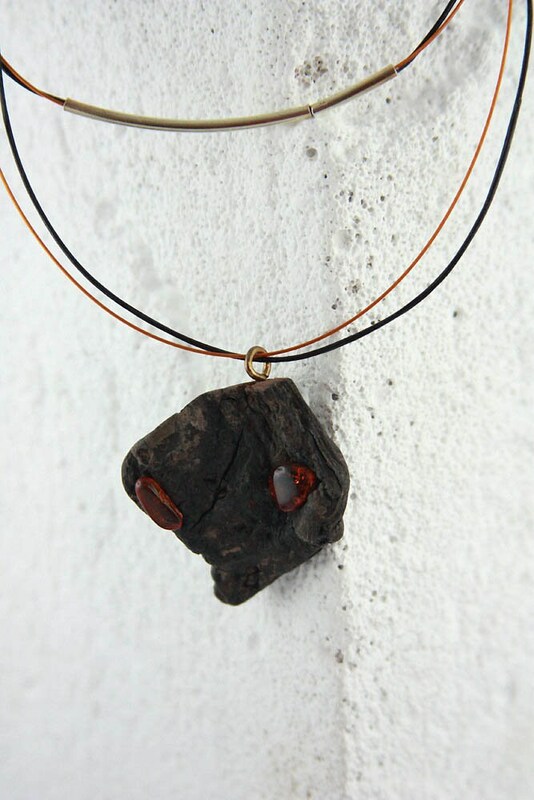 The extraordinary formed dark piece of driftwood is the perfect addition to the shimmering genuine amber. 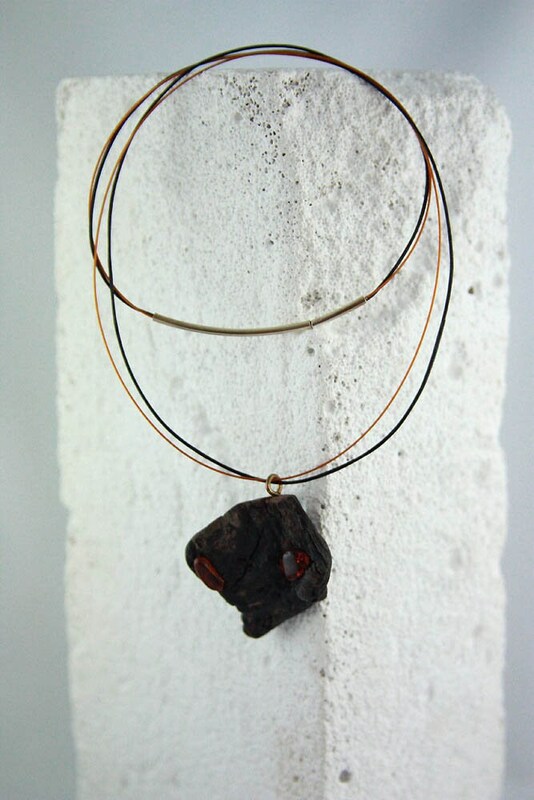 Held by brown soft leather strap and copper colored steel wire, giving the necklace a rather modern look. AMBER is one of the world’s oldest and most coveted treasures, a “Gold of the Sea” intrinsically formed by light and life, preserved by time and washed upon the shores for humanity, a talisman of beauty, protection and renewal. 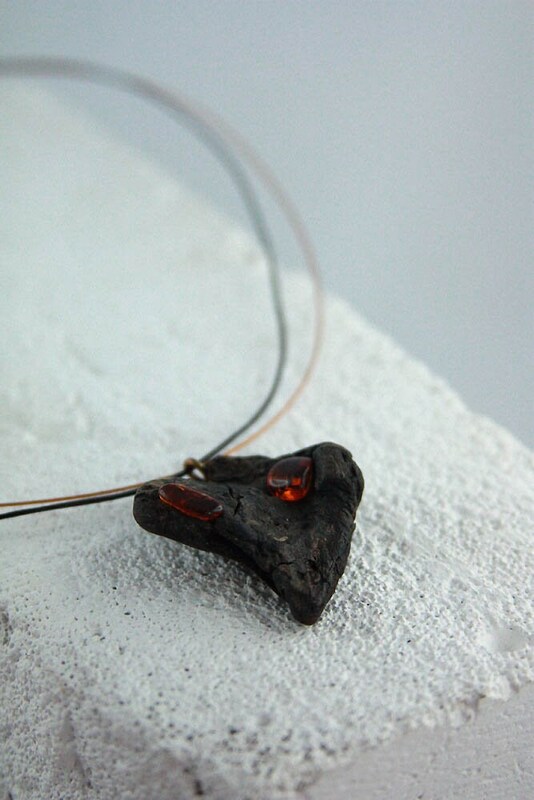 Amber is a natural purifier, esteemed for its ability to draw pain and dis-ease from the physical body, as well as the mind and spirit, by absorbing negative or stagnant energies and transforming them into clear, positive energy.